Nose: Rich and intense, very sweet at first with gentle yet crisp Kilchoman peat and a bit of tar behind the sweetness, ripe banana, a gentle Caroni dirtiness with a touch of petrol and crushed black olives. After it breaths, there’s more peat, coconut, maltiness and perfumed honey. Palate: Intense, much stronger peat flavors, smoke and ashes, sweet fruits and honey, salt, rubber, bitter oak spices and petrol fumes. Finish: Long finish, very Kilchoman-y, ashes, peat, smoke, and lingering sweet banana. Nose: Also very rich and sweet but less so than the 4 yo, green olives, white pepper, rubber, sweet banana candies, pears, smoke, honey, fermented banana leaves. Palate: Boom! Sweet demerara sugar, ripe bananas, coconut, gentle peat, fermented banana leaves, green olives, salt, maltiness and old bonfire ashes. Finish: Medium long finish, lingering sweetness, banana, sugar, gentle peat, minerals and salt. Thoughts: What a great duo! 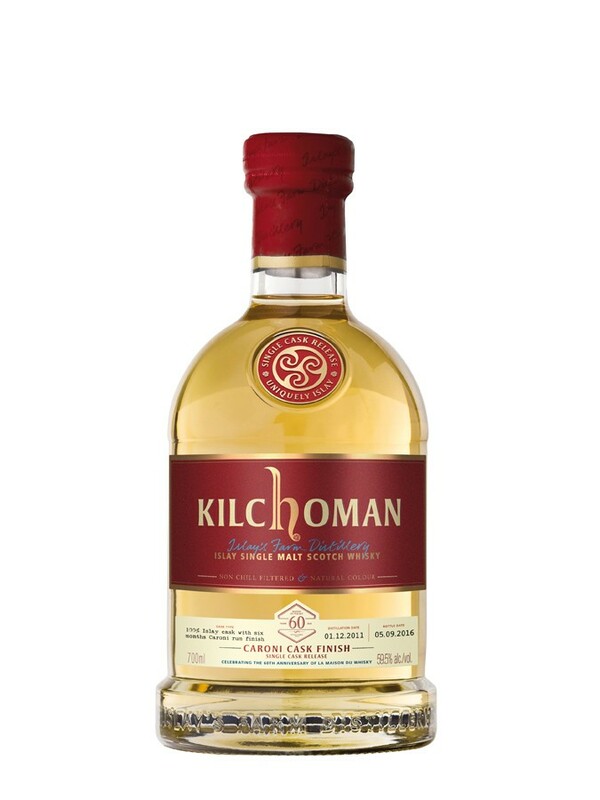 The Caroni rum cask impact works like a charm with the young Kilchoman spirit. Instead of having a young and rough peat bomb, we get a mellow one with the right amount of the ‘exotic’ Caroni influence. Hard to believe that 6 months were all that’s needed. And don’t ask me which one is my favorite because it depends on my mood and which note would play the first violin here: The Caroni or the Kilchoman Peat. Slainte!